The name of the company is a compound of two words: it derives from latine quinque – five and the word technology. Kvintech was founded in 2000 and in its beginnings specialized in an Internet marketing. Over the years, its focus has moved towards the field of education, as it established the Internet platform for creating and editing online courses together with testing and managing modules (www.kvinelearning.eu). More than 150 000 lines of source code proves the complexity of this system. However, the rich and inspiring content is the crucial thing that makes this education platform unique. In a close cooperation with customers, Kvintech has designed several courses, such as a course in the project management, to satisfy their demands. Anyway, the main attention is paid to the language courses based on the Imitum education method. In the moment, Kvintech offers its three most popular courses: Basic English, Business English and English for Kids that are provided in three language options: Czech version www.anglictina-bez-biflovani.cz, Slovak version www.anglictina-bez-biflovania.sk and Russian version www.englishwithoutcramming.ru. Following the language teachers who have been using this method at all types of language schools, Kvintech tried to cater for their needs and wishes as well and designed a special page/portal for testing the students: www.english-test-online.com, which is accessible for free. 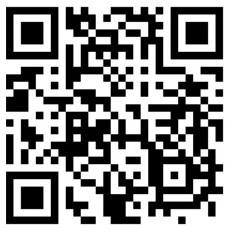 This platform is available in Czech, Slovak, Russian and English, respectively. After having focused on the language education, it was then just a mere step towards the evolvement of unique method Mi5M which concentrates on a personal development. With the help of this method you can easily adjust your life according to your wishes. The results collected from five science-based methods enriched by the experience from lecturers‘ and therapeutic practice led to the creation of this exquisite advice praised by the huge audience as well as the specialists. 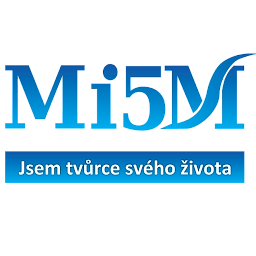 To find out how Mi5M works, see pages www.jsem-tvurce-sveho-zivota.cz and www.kurz-sebevedoma-zena.cz where you’ll find some life situations and experiences analysed by this method. Despite the fact that the company Kvintech solution, s. r. o. appeared on the business scene in 2010 it’s been led by the team of specialists with vast experience in IT, e-learning, personal education and language teaching as they have participated in many projects in Czech Republic and abroad. The main target of our work is to make foreign language learning more attractive, accessible and easier for the students and we also aim to contribute to the rising level of language education and communication. This new method Imitum has emerged from the combination of linguistics, psychology and neurology together with the advanced multimedia technologies. It has been used by more than 7 million people all over the world. The personal development program „Mi5M – I’m the creator of my life“ presents complex information how the human brain works. Every day we are the witnesses of how the human body works and how it is influenced by our psychical setting. Every aspect of our live can be managed by the personal development along with the help of Mi5M program.